Global Seminars: Day 5: Visiting Bahia Honda, body storming with local children, and a hiking a slippery slope! Day 5: Visiting Bahia Honda, body storming with local children, and a hiking a slippery slope! 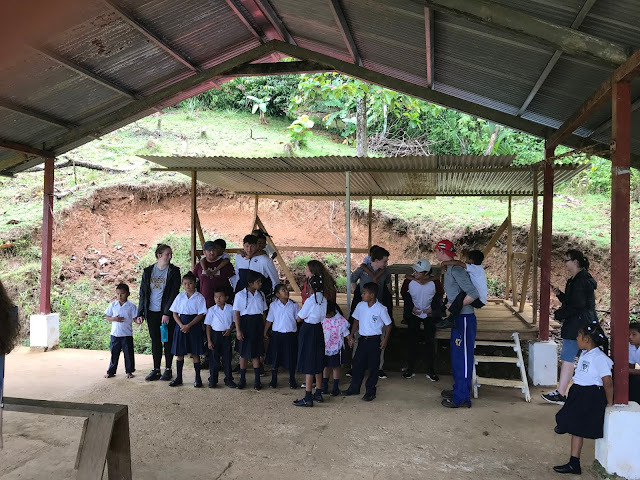 On Thursday, March 21, we went to the community called Bahía Honda. Here we sampled water from two different sources which included a rain catchment system and a pump that was from a river. We met with a non-governmental organization called Give and Surf which helps the community get students to school for as long as they want to go to school. They provide transportation, money for uniforms and books, and the ability to get a warm lunch at school. Also, the kids in the community were excited to join in our visual “body storming” explanation of the water cycle during the wet and dry seasons. They jumped right in, or I guess on, several of the members of our group. We were served lunch that was prepared at the local restaurant. 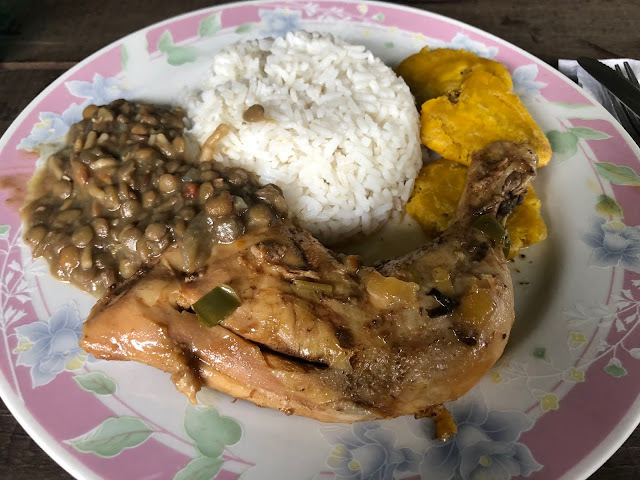 The lunch included chicken with onions, beans, rice and fried plantains. Generally, the rice is cooked in a coconut. In addition to visiting this community, we went on a hike around the hotel where we are staying. 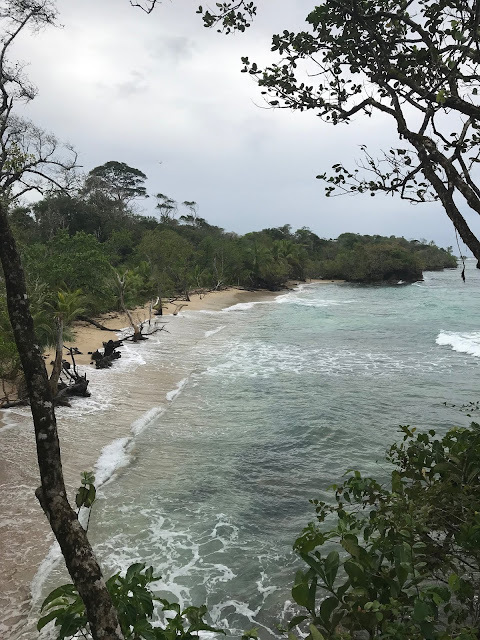 We were guided by Wilfredo, a local to the area, who was very knowledgeable about the local plants and animals, as well as the history of the area. The hiking path was extremely muddy and slick, due to the day's rain. After all of the slipping and sliding during the hike, the group stopped for a swim in the ocean.